I’m not one who gives much credence to doom ‘n gloom predictions like this one. But this is serious. I believe him, and so should you. We often talk at this here back porch of mine about SHTF scenarios. This, I think, is going to be one of them. So get out to the supermarket — now — and start laying in food supplies. You all know which kinds to get: stuff that has a lo-o-o-ng storage life, because there’s no telling just how long it’s going to take to recover from this. Sure, we’ll probably just import foods from overseas; but it’ll be costly, and if you think that foreign countries won’t use this catastrophe against us politically, I have a New York bridge to sell you. Most importantly: if you’re on a fixed income (as I am), your dollar is going to buy less and less food as prices start to climb. I have about three months’ supply of food on hand, and that is never going to be enough. I already started over the past weekend, and I’m going to be doing it daily from now on. Oh, and I don’t think I need to remind anyone here about keeping your ammo lockers stocked, do I? I stumbled on this article a little while ago, and the author makes an interesting proposition in his selection of decent alternatives in the SHTF (survival) scenario, in that his list includes the Usual Suspects (AR-15, AK-47, M1 Carbine, large-caliber lever rifle), but also suggests the… semi-auto .22 rifle. The .22-caliber rimfire ammunition doesn’t deliver any kickback or recoil, but can hit targets at 100-yards with deadly precision and ease. One of the biggest advantages of a .22-rimfire long rifle is the abundance and affordability of ammunition. This will allow you to enjoy endless days of target shooting before SHTF and the opportunity to stockpile plenty of backup rounds to have on hand when disaster strikes. No issue with any of the above, but here’s the (unspoken) kicker: is it better to drop a small bullet into an eyeball out to 100 yards, or to have a decent stopper with “reasonable” accuracy operating at the same range? I myself have embraced the first scenario, only I’ve attempted to increase the oomph somewhat by having a small-caliber rifle in .22 WinMag (rather than .22 LR) which can, and does, drop bullets into a dime-sized target all day. (I also have a Harris bipod for it, just to assist in the process.) Not only does the .22 WMR boolet arrive with more authority than the .22 LR’s, it nearly doubles the effective range thereof. Here’s my final take on the topic, and it should be well known to all Loyal Readers by now. The .22 rifle (of whatever action type) is not a firearm, but a household appliance like a frying pan — and its ammunition is not ammunition, but a household commodity like sugar or salt. In short, every home should have one, and under such circumstances, a “survival” scenario will always include both the EBR and the rimfire options. And as such, Cody Griffin’s list needn’t include the .22 LR rifle, for the same reason that a list of survival items needn’t include “clothing” because duh. You all do own at least one rimfire rifle, don’t you? One for each family member, yes? 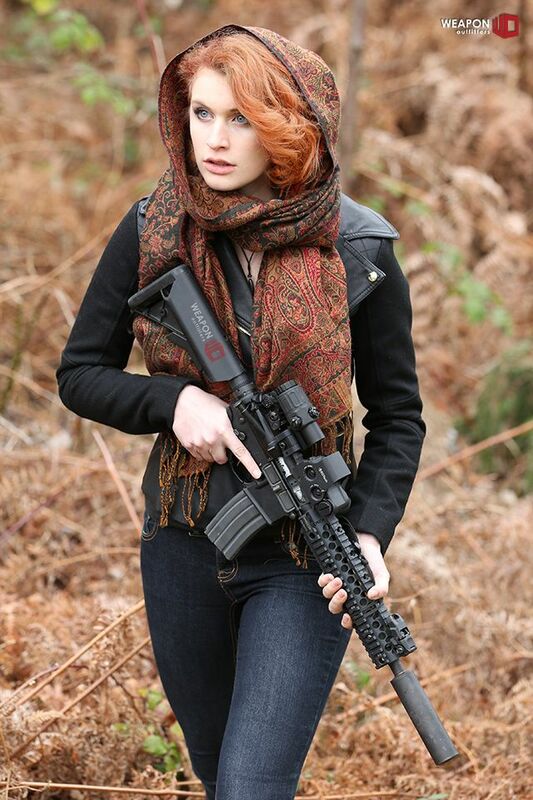 And an elegant sufficiency* of rimfire ammunition on hand? *over 1,000 rounds (two bricks) per gun. 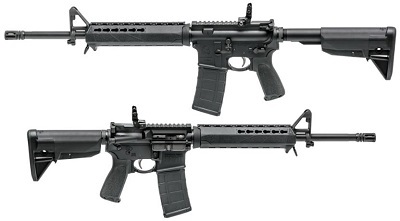 Over at Shooting Times, Rick Mann looks at what he considers to be the four best SHTF rifles — what he terms “Apocalypse-Ready Rifles” — and has devised a test to determine which one is best. As I’m unlikely ever to go on any camping trip which doesn’t include the words “Holiday Inn”, I’m not going to pick two of his choices (the .30-30 lever rifle and the .308 Win boltie), fine weapons though they may be. No, from where I’m sitting, the most likely scenario is civil breakdown and disorder caused by natural disasters (which could likely cause prolonged power outages, food shortages and such), or else a truly bad situation like a BLM- / Antifa-inspired riot. In both cases, what’s needed is something for home / property defense (if caught in a riot), and something which would also allow me to do things like pay a visit to a local supermarket for a little un-monetized food collection (the fancy term for looting). I know, some people are going to prefer the Waffen Durch Plastik AR-15, and while I deplore the choice (I mean, all that plastic… think of the environment, people! ), I’ve come to the point of view that you go with what you feel comfortable using — and as most gunnies of my acquaintance have served in the dot.mil (e.g. Doc Russia, Combat Controller etc. ), the AR would be a logical choice for them. Where was I? Oh yes, the SHTF rifle choices. 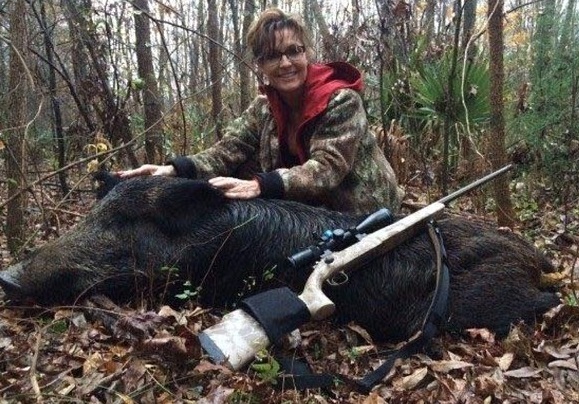 I have to say that for my Readers who live in rural areas, where one could forage for dinner amidst the wild beasties who frolic in the fields, the .308 bolt rifle would be an outstanding choice — although I’d probably choose a .300 Win Mag chambering instead — and if the terrain is heavily wooded, the .30-30 lever rifle would be equally effective. Sustainment for months is unlikely, so being able to “pick up” ammo—while potentially important—is not a realistic necessity. What’s more important is how much ammo you can comfortably carry. Here’s my take: outside the scenario of actual guerilla warfare (ain’t gonna happen, not in this country, Red Dawn fantasies notwithstanding), you aren’t going to run out of ammo. Seriously, if you think you’re going to need more than a couple-three magazines for your rifle, what you need is not more ammo but more people to support you. Myself, I could not see myself taking the AK for an outing with any more than two 20-round magazines. Ammo is heavy, Bubba, and I’m not young and fit anymore. More than two, and I’d keep them in the car instead. The amount of ammo on hand is another story, of course, but you all know my “500” rule — a minimum of 500 rounds per gun (with an exception for exotic calibers like .375 H&H or 7mm Jap). All this is fun to wargame out, isn’t it? Even though it is an unlikely scenario, I try not to wander too deep into the Gun Dork Forest, because that’s like drawing up a comprehensive financial plan for when you win the $100-million lottery: fun, but after a certain point it’s just wasting time. I do think, however, that some planning is not only necessary, it’s prudent. You don’t want to be like those morons in New Orleans who, when Hurricane Katrina was about to come calling, arrived at the shelters carrying nothing but a Pepsi Big Gulp. In a dire SHTF situation, my plan involves staying in place and defending the apartment. If that’s untenable, then I’ll be loading my Grab ‘n Go* tubs, emergency water cans and the necessary guns and ammo into the Tiguan, and making my way over to Doc Russia’s fortress house. Call me unprepared if you will, but I’m not a dummy. *Yes, I still have them, just with fresh supplies. If anyone’s interested, I’ll post pics of them some other time, after I’ve moved. Quite a few people have written to me about my recent travels in adverse conditions, mostly talking about the SHTF stuff (or lack thereof) that I was carrying in the car. Let me say that I was not wholly unprepared — I generally make at least some preparations when I travel, as you will see — but my unpreparedness was mostly psychological: mostly, I suspect, because I had been used to traveling around the mild climes of Britishland and the Midi. So let me itemize what I did have in the car; and if anyone has any suggestions for additional items, have at it in Comments. Weapons: as you can imagine, no problems there; Springfield 1911 and S&W 637, Taurus pump-action .22 rifle and an AK, each with the appropriate quantity of ammo. Cold-weather clothing: one heavy coat, one insulated waistcoat, heavy socks, thermals, insulated boots, one wool blanket, one thermal waterproof blanket. What I forgot: gloves (but I seldom leave home without them in winter, even in Texas; this was a one-time omission). Also, even though my heavy coat had a hood, I should have packed a wool cap, but didn’t. Food: Several cans of food — enough to keep me fed for about 3-4 days, five at a stretch — as well as a jar of peanut butter and two large bags of biltong. Fruit, sugar and six 500-ml bottles of water made up the rest of the grocery bag. Tools, etc. : camp shovel, three flashlights and spare batteries, Anza knife and a couple of folders, screwdriver- and socket set, Swiss Army and Leatherman tool-knives, 100′ nylon cord and a small first-aid bag. It sounds like a lot but it isn’t, really. What was I missing? Because actions speak louder than words, and all the above organizations do is spout empty words and cheap sentiment. We The People know what has to be done when catastrophe comes calling, and we get down and do it. They The Assholes couldn’t be bothered. So if you now feel like punching a liberal in the face (not a very charitable act, I’ll concede), then go right ahead. I’ll hold your coat.